Hit musical adaptation The Lion King has become the highest earning show in Broadway history, according to figures released by its producers Disney. The musical has earned $853.8 million (£536.7 million) since opening in 1997. Its closest rival, The Phantom of the Opera, has made $853.1m (£536.3m). Andrew Lloyd Webber's show has been running in New York since 1988. The Lion King's success has been due in part to higher ticket prices and the fact it plays in a larger theatre. The show, based on Disney's 1994 animated film, surged ahead of the longer-running production over the Easter weekend. The Lion King took more than $2m (£1.26m) over Easter, while its rival made $1.2m (£755,000). The Broadway League, the national trade association for the Broadway theatre industry, has slightly different figures. According to its data, the Disney show's total has topped $854m while Phantom remains on $853m. Thomas Schumacher, producer and president of Disney Theatrical Productions, said the "accomplishment" belonged to "our audiences, millions of whom are experiencing their first Broadway show at The Lion King". "Surely, introducing so many to the splendour of live theatre is our show's greatest legacy," he went on. Phantom is still the longest-running show in Broadway history, chalking up more than 10,000 performances and 14.8 million tickets sold. 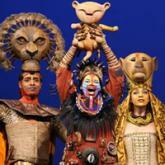 The Lion King, in contrast, has had 5,900 performances and sold 10 million tickets.